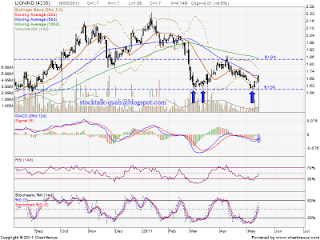 LIONIND rebound from RM1.59 support level. 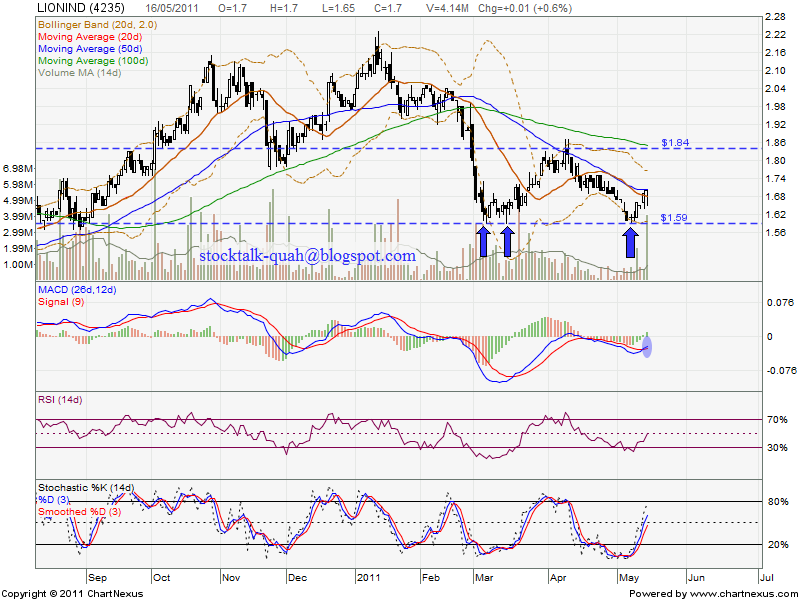 Next resistant would be MA100 RM1.84 level. If retrace down, it might retest RM1.59 level. MACD formed bullish crossover BUT not yet pass through positive region. If able pass through positive region, it will be a buy call on this counter.